Secure Data Recovery Services offers an expansive set of data recovery resources and hard drive repair services, mobile data recovery in Shreveport. As a certified and professional data recovery provider, we deliver consistent success rates, fast turnarounds, and perfect security. 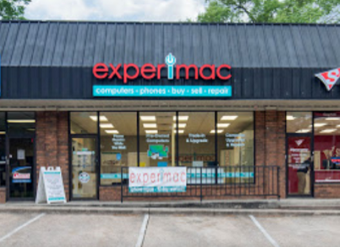 Regardless of your media type or the cause of data loss, our Shreveport location offers a range of services to quickly recover your files. See some of our featured data recovery services below. Our industry-best recovery specialists know exactly how to preserve your data before extraction. Less-skilled providers may cause additional damage or permanent data loss. Take advantage of our free media evaluations to ascertain the precise condition of your media plus a detailed accounting of the recoverable data it contains before you proceed further. We employ Apple Mac Certified technicians and are approved by major hardware manufacturers and vendors.These qualify our specialists to work on all storage media or equipment including hard drives, SSD drives, RAID arrays, Macs, mobile devices, home and business computers, memory cards, USB thumb drives, tape, DVR storage, virtual servers, databases and more. Secure Data Recovery Services is always on call to assist you with your data recovery needs. In the most urgent, business-critical cases, customers take advantage of our 48-hour emergency service to restore operations with the least disruption. We pride ourselves on our dedication to keeping your data safe and confidential. That starts with our PCI-DSS and EU-US Privacy Shield compliance plus SOC 1® and SOC 2® Under the Guidance of SSAE 18 Security Certifications. All facilities are video-monitored around the clock and data is transferred only via 256-bit encrypted networks meeting DoD standards. These certifications also apply to our other expert data services: data migration, media conversion, database repair, mobile and computers forensics, e-discovery and expert testimony. Rely on Secure Data Recovery Services’ Shreveport Authorized Partner Location to deliver your lost data quickly and efficiently. Call our talented customer service representatives now at 1-800-388-1266 to learn more and set up a free media evaluation to determine your service options. We promise that if no data is recovered, there is no charge. Chris McMachen was very helpful from the first phone I made with just basic questions on how the process worked. The information he provided and the willingness to answer very simple basic questions were the reason I chose to use Secure Data Recovery. He was very responsive to emails and any inquiries that we had throughout the complete process. I am very, very pleased with the service Chris provided as well as the process overall and would gladly recommend Secure Data Recovery to anyone looking for this type of service. Thank you again to Chris McMachen and Secure Data Recovery for making the process as painless as possible.